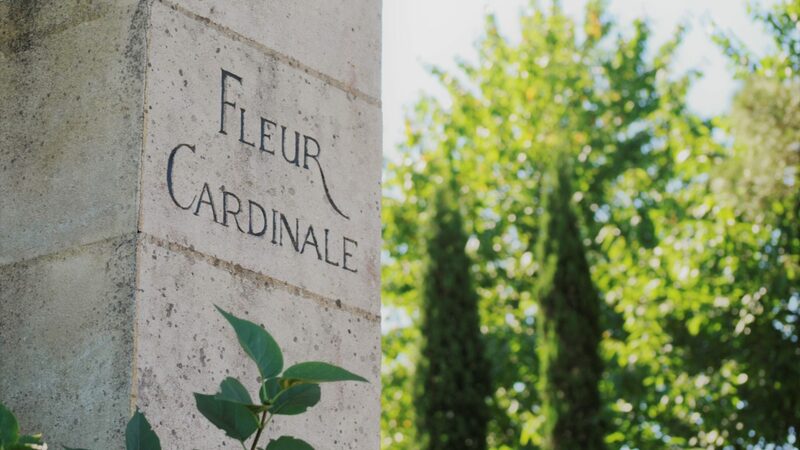 The geographical location, altitude of the vineyard, grape varieties and climate allow us to produce wines at Fleur Cardinale with plenty of structure and particular freshness. 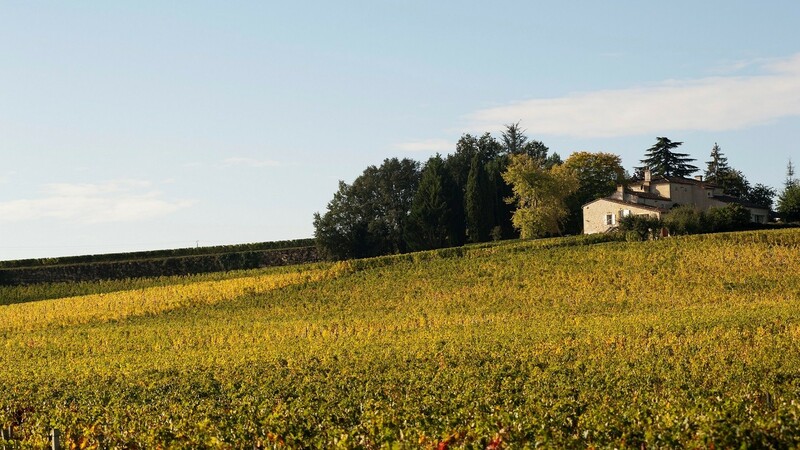 The vineyards of Château Fleur Cardinale span nearly 23.5 hectares. 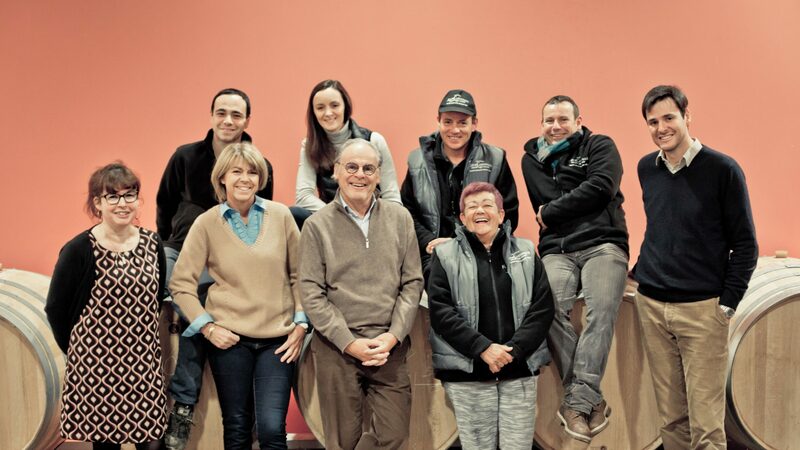 The estate is located in the village of Saint-Etienne-de-Lisse, in the eastern part of the Saint-Émilion appellation. The estate borders Château Valandraud, a Premier Grand Cru Classé B. 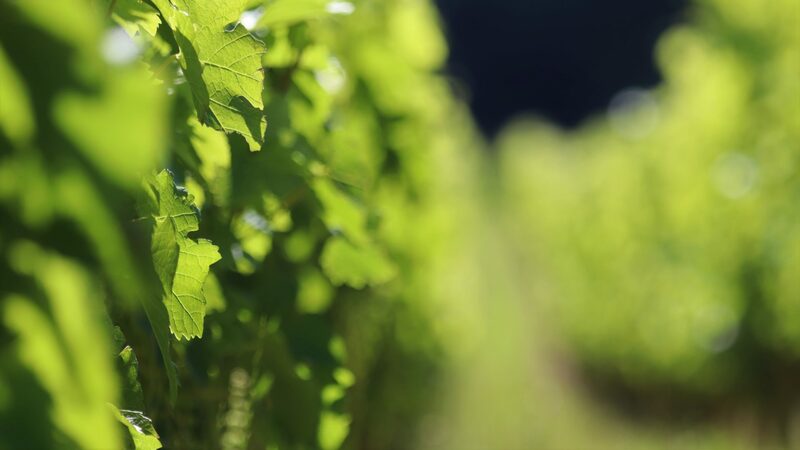 The topography of our land is very diverse: the majority of the hillsides are fairly steep (gradients of 10% are common) and there are different areas of the estate oriented in every possible direction. This is an additional asset for the property, particularly regarding water dynamics. 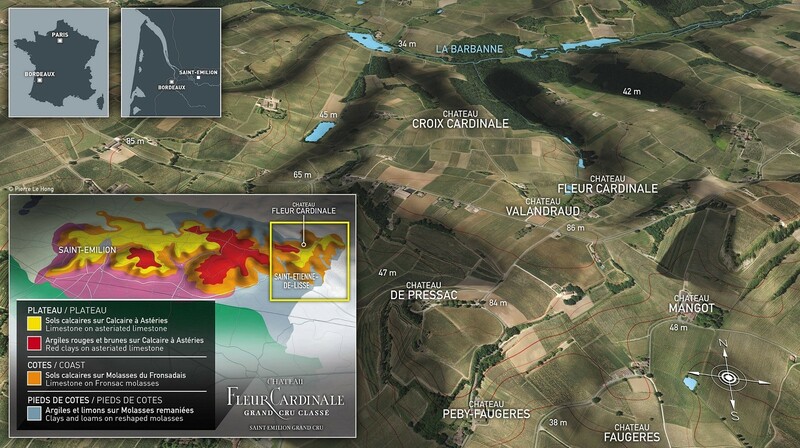 Château Fleur Cardinale is located on the northern rim of a clay-limestone plateau. 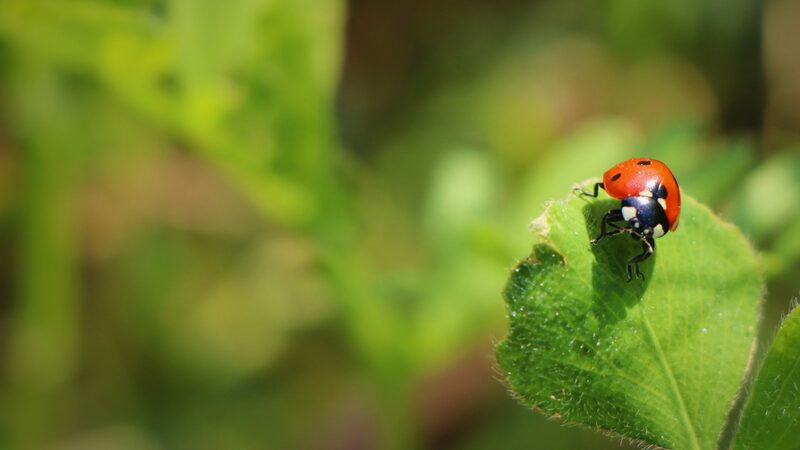 There are precisely 7 different types of soil and subsoil. 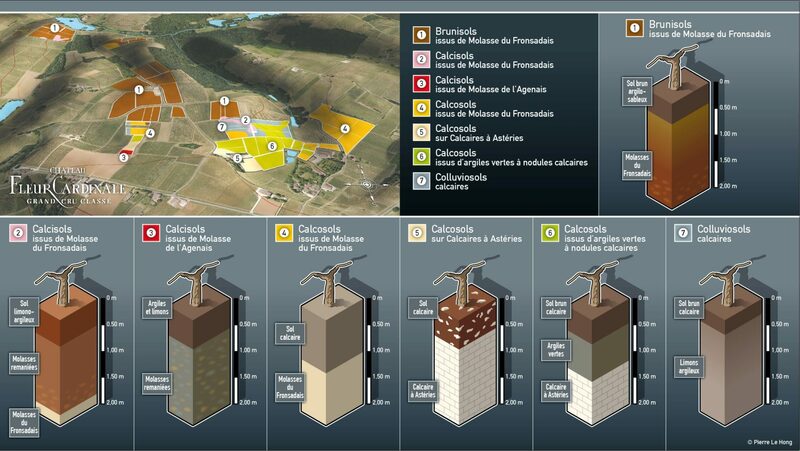 The majority of these soils are exactly the same in terms of soil classification as those found in the very heart of Saint-Émilion village. 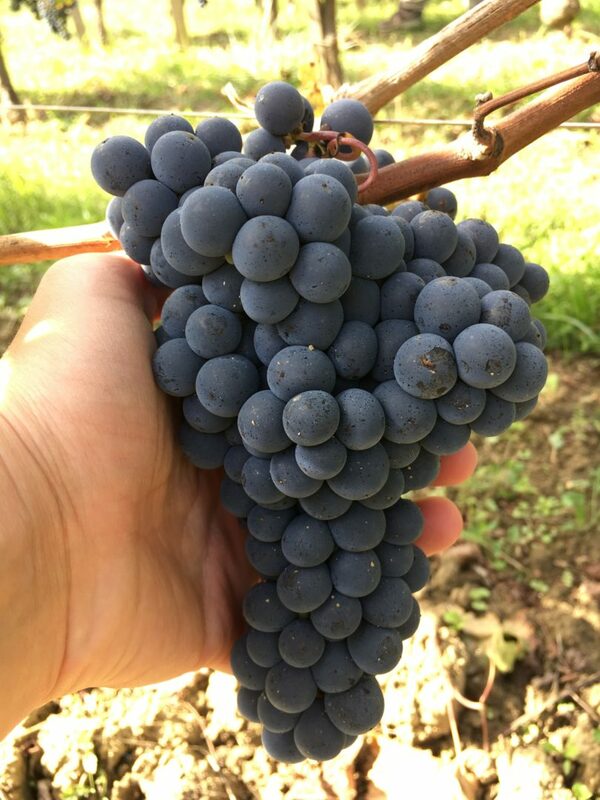 The average age of the vines at Château Fleur Cardinale is 38 years and the grape varieties consist of 75% Merlot, 20% Cabernet Franc and 5% Cabernet Sauvignon.